Meet your guide at 9:00 am at the Neptune Fountain outside the Library of Congress and make your way inside the U.S. Capitol for reserved entry for a guided tour of the Legislative branch of the U.S. Government. Then continue across to the Library of Congress Jefferson Building where you will see part of Thomas Jefferson's original collection of over 6,000 books he sold to Congress to replace those burned in the War of 1812, view the main reading room, a Gutenburg Bible and marvel over the stunning architecture work. 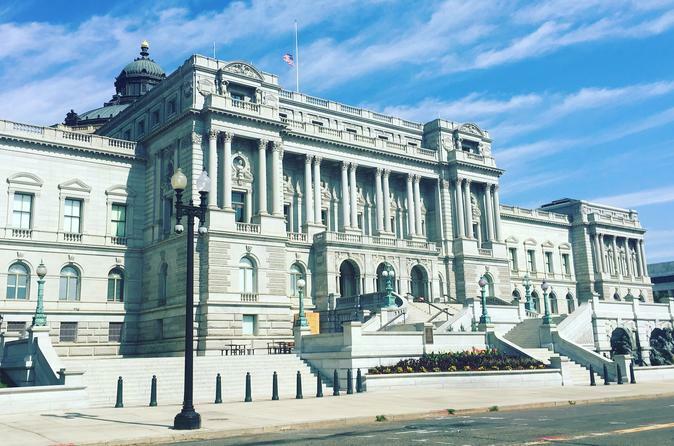 From there, visit the U.S. Supreme, the Judicial branch of the U.S. Government, and tour the building where cases that changed history were heard and settled. Afterwards, get an exclusive tour of the Folger Shakespeare Museum and Theater featuring the largest collection of Shakespeare first folios in the world. Step back in time as you view some of Shakespeare's original writing, the Grand Hall, special exhibits, and tour the Folger Theater.